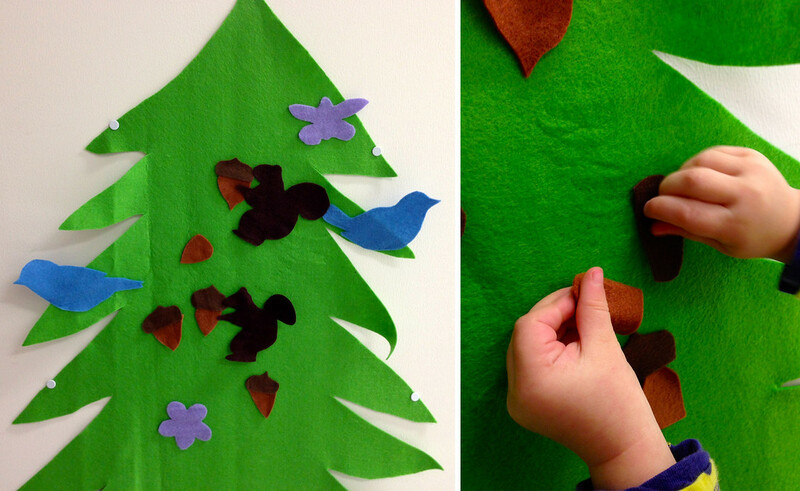 Indoor Play: DIY Felt Trees Mama Say What?! | Mama Say What?! The weather in Tokyo, Japan gets a little confusing this time of year. Yesterday, it was 65 degrees Fahrenheit and sunny. Today it’s in the 30′s and raining, with the potential for snow or sleet as the day goes on. So, when my daughter wakes up from her nap, I’m going to pull out one of our latest projects to keep her entertained while we’re stuck inside: a felt tree that she can cover with fun decorations! This project is easy, fast, and practically limitless in its applications. You can make themed decorations for holidays, educational decorations to help practice counting, math, or reading, or just customize it to your child’s tastes and interests. It’s also inexpensive and uses materials that are pretty easy to find. And you really don’t have to have special artistic skills, either. If you can work a pair of scissors and trace shapes, you can make this tree! 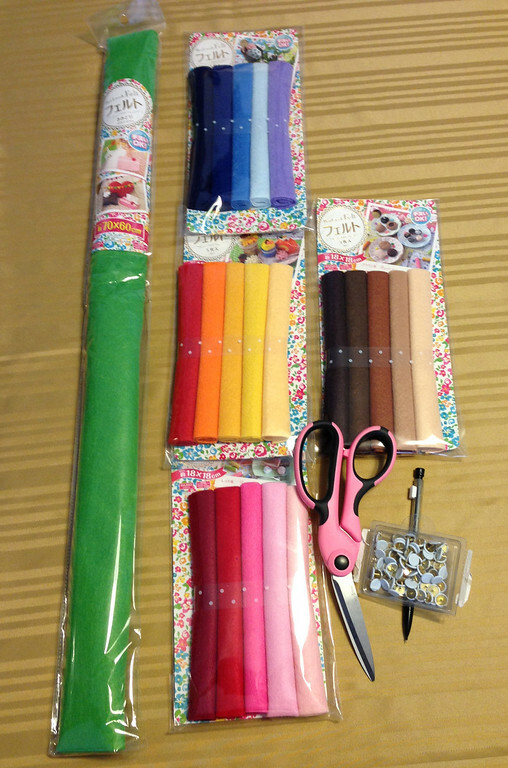 I bought one large piece of green felt and a few packs of smaller pieces in bright colors. 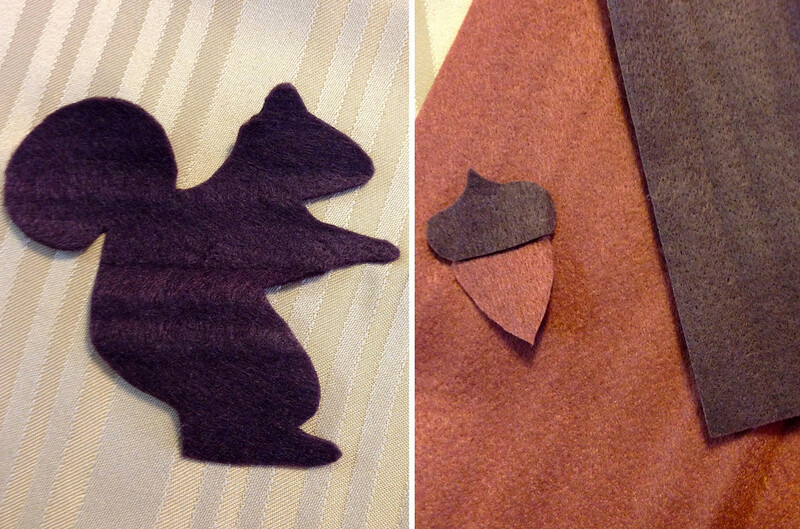 You can find felt at your local arts and crafts store, the craft section of Wal-Mart, or even at some dollar stores. At home I already had colored pencils for tracing shapes, flat thumb tacks to attach the tree to the wall, and fabric scissors (which are extra-sharp to make cutting easier). I chose an evergreen shape because I made this tree close to Christmas and my daughter was totally obsessed with seeing Christmas trees everywhere she went. Right now, she is using a set of nature shapes I made for her to play with and she loves them! At Christmas time I let her decorate it with colored balls and traditional Christmas shapes. 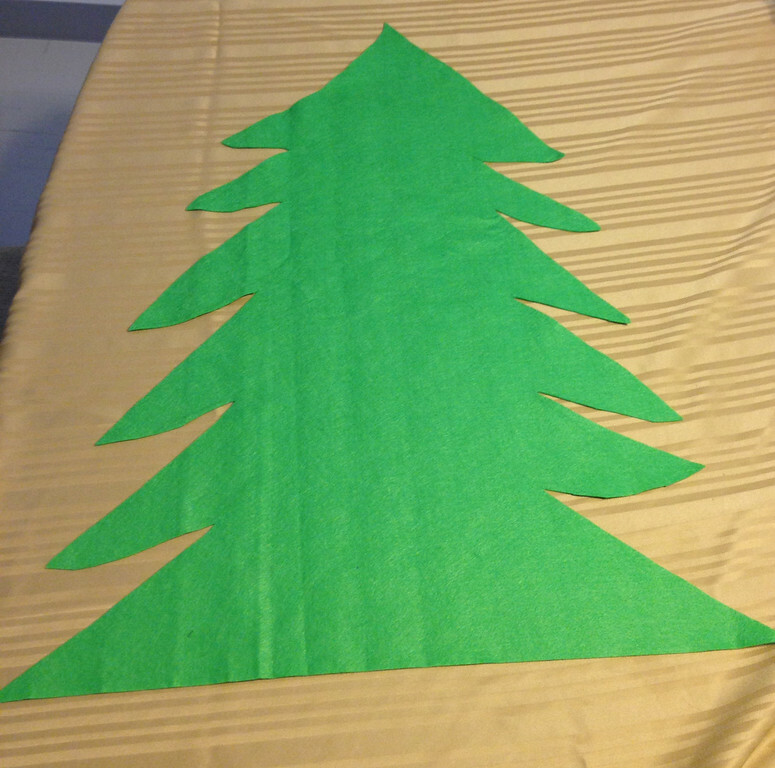 The first thing I did was lay out my large piece of green felt and trace the tree shape I wanted. Then I cut it out and set it aside. I chose a brown piece to cut into the shape of a short trunk, but the tree would look fine without it. I chose the shapes I wanted to cut from each color and did an internet search for silhouettes that I could easily copy or even trace if I printed them out. I’m no visual artist, but a quick search for “squirrel silhouette image” produced a ton of easy-to-imitate shapes that were recognizable to my two-year-old as squirrels. 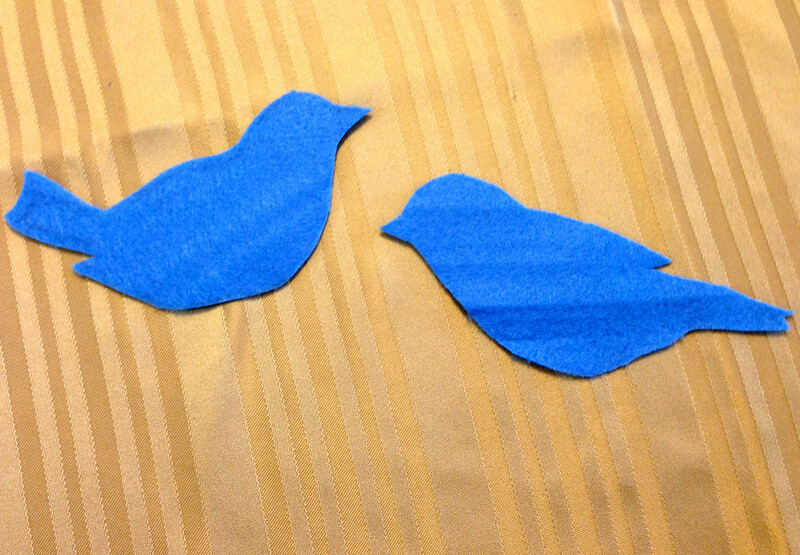 I also cut out acorns, blue birds, apples, and oranges. Once I had the shapes ready, I just used thumb tacks to put the tree up on a wall in the kitchen! The finished product can be packed into a little plastic container when we’re done playing with it. My daughter loves to arrange her shapes on the tree, and she will even count them as she plays! I cut out a set of multicolored hearts for her to play with around Valentine’s Day and I’m sure you can imagine the possibilities for St. Patrick’s Day, Easter, and beyond! This could also be a fun and useful addition to homeschooling curriculum. What decorations would your little one enjoy hanging on a felt tree like this one? Added by Christina D. on March 1, 2014. My little girl would love this. Thanks for the inspiration! What a great idea…. our library play area has a felt board for kids to try out, but I never thought about making our own. Thanks for sharing.